Four years ago, Andy Hall started to think about his dream job, a position that would draw upon two of his passions: investigative reporting and teaching. 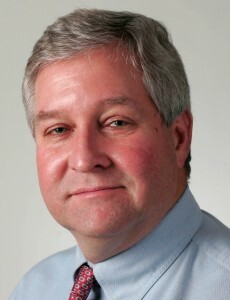 He had just been assigned to the education beat at the Wisconsin State Journal in Madison. It was a great job, he says, but when this dream started to creep into his head, he began to think about leaving the paper where he’d worked as an investigative reporter since 1991. Hall’s dream is now a reality; he’s the executive director of the Wisconsin Center for Investigative Journalism, which produces investigative reports on government integrity and quality oflife issues. Hall was acquainted with successful national models for nonprofit investigative journalism (see “Nonprofit News,” February/March 2008, and “The Nonprofit Explosion,” page 31), and it seemed to him that Wisconsin might be a good place to build a state-focused center. So Hall took a buyout from the State Journal, ending 26 years at daily newspapers. For that first month in January, he worked out of his basement, drawing on money from the buyout, until the Ethics & Excellence in Journalism Foundation called to say it had awarded the center a $100,000 grant. The School of Journalism & Mass Communication at the University of Wisconsin-Madison offered office space. Hall began collaborating with students in the school and professional journalists across the state. Read the rest of the article here and visit the Center’s web site if you’re interested in learning more. Thanks to SJMC’s faculty for all of the support. Our partnership is a national model, being adopted by other investigative centers across the nation. Any success we’re enjoying wouldn’t have been possible without your generous offer of office space, invitations to collaborate with students and willingness to join in this experiment in nonprofit, collaborative journalism. And thanks especially to the students, whose skillful reporting is shining a light on important issues — immigration, health, poverty and more — in stories that now have been carried by nearly 50 news organizations across Wisconsin!